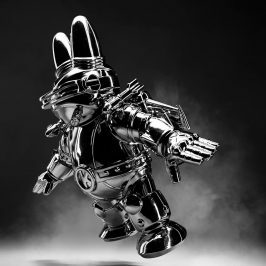 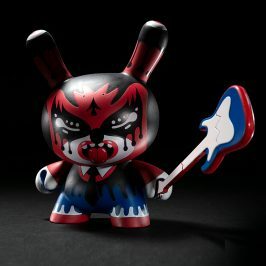 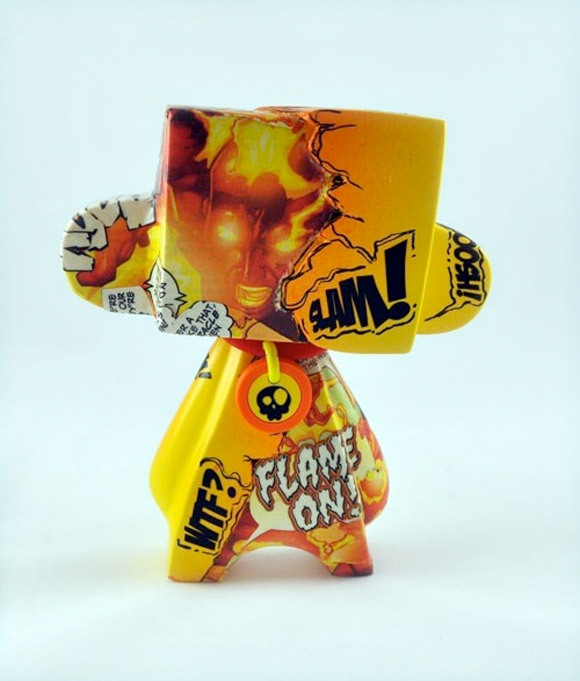 German artist, VISEone has expanded his Comic Stripped custom series with a smoking hot Madl custom. 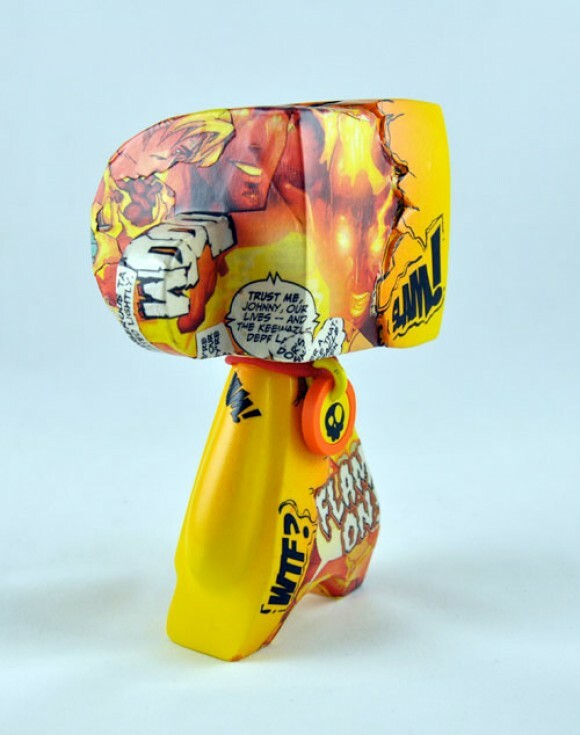 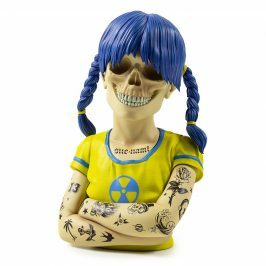 This one of a kind 5-inch figure is the fourth installment of this series and is inspired by The Human Torch from the Fantastic Four. 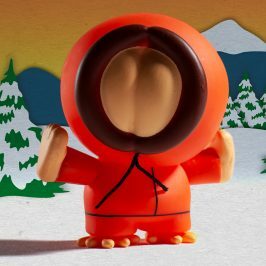 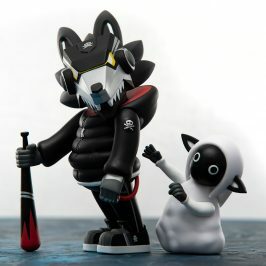 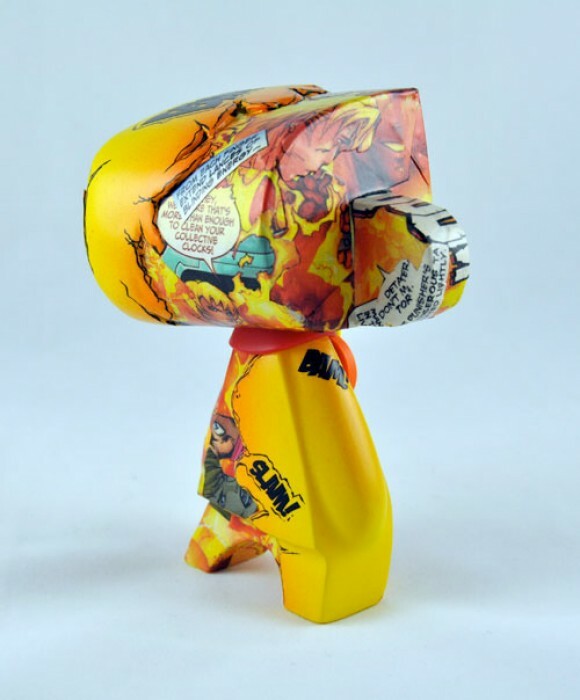 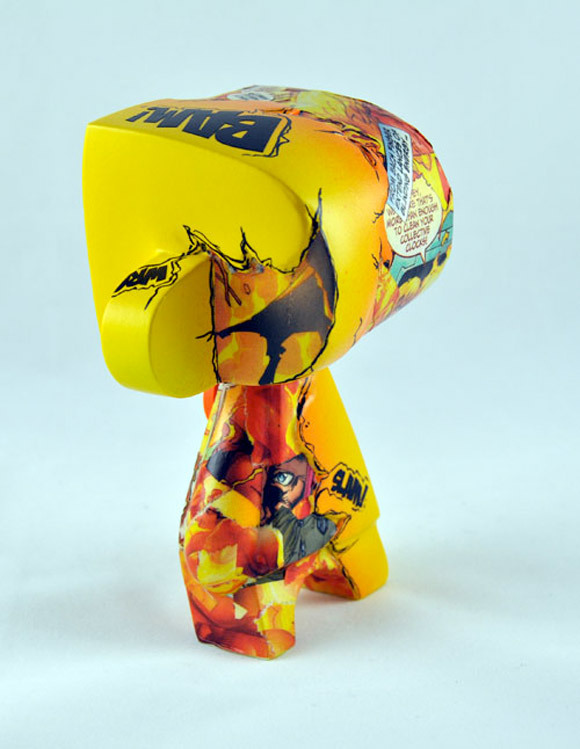 His recent The Thing MUNNY design is a contestant in the MUNNY MUNTH custom contest. 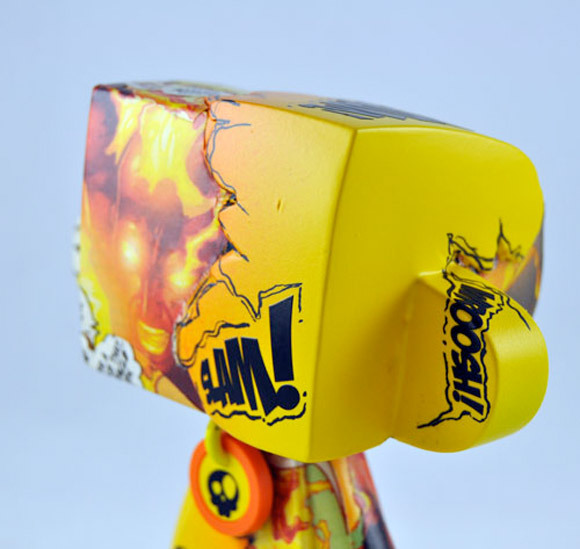 More fantastic work check out viseone.de.